Welcome to Your NO BULL RV Dealership! Save $$ on Your PERFECT RV! If You Sat Down and Considered Depreciation as Part of the Cost of Owning an RV, You would likely give Careful consideration to Buying a Used RV instead! 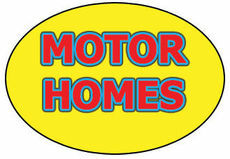 As a General Rule of Thumb, a Brand New RV will lose 20% of it's retail value THE MOMENT YOU DRIVE IT OFF THE SALES LOT! That means a $30,000 travel trailer has a selling price of $24,000 by the time you get it home! The Trade Value (Wholesale Value) of the Same Trailer will be closer to $19,000 in the same Time Frame. So You've just Lost Roughly 33% of the Value of the Trailer BEFORE You've Even Cracked a Beer & Flipped Your First Burger at the Campsite! Buying a Lightly Used RV makes Financial Sense. Most People use their RV Recreationally - Which is Another Way of saying "Not Very Often". Maybe a 2 Week Holiday with the Kids and the Odd Weekend here or there through the summer and it is put away for the Winter. After a Couple of Years like this, they find they aren't using it as much & want to Sell it Off. This is where You come in. Why not let the Original Owner Absorb the Hard 1st year's Depreciation & Warranty Issues? 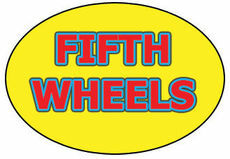 If You're Looking for a Used Travel Trailer, 5th Wheel or Toy Hauler in Alberta, NOW is the Time & THIS is the Place! We're Currently Stocking our Lot with some of the Nicest Used RVs in Alberta for you to choose from - Whether you are a small family just getting into camping or an Experienced RVer, Our intention is to have Your Perfect RV on hand! Check out the New Inventory! WHY STORE IT - SELL IT HERE! 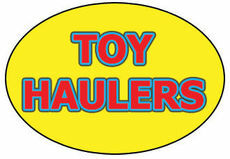 We're Now Accepting Consignment RVs! We Strive to Get You Good Value! Come By, Email Us or Give Us a Call! CLEARANCE **$86 b/w (oac)** SUV TOWABLE BUNK TRAILER, SLEEPS 6! LOOK **$102 b/w (oac)** COUPLE’S REAR LIVING w/ SLIDE, SLEEPS 6! COOL **$243 b/w (oac)** TOY HAULER, 12’ GARAGE, GEN, 2 BATHS! CLEARANCE **$99 b/w (oac)**UNIQUE COUPLE’S 5th w/ SLIDE, SOLAR! JAYCO **$89 b/w (oac)** J/Jill BUNK TRAILER w/ SLIDE, 5685 lbs! ROOMY SLIDE **$108 b/w (oac)** J/Jill BUNKS, QUEEN BED, SLEEPS 9! RARE **$116 b/w (oac)** WINTER PKG, J/Jill BUNKS, SLIDE SLEEPS 9! JUST 3410 lbs! **$78 b/w (oac)** BUNK TRAILER for ½ TON! ½ TON TOWABLE **$92 b/w (oac)** COUPLE’S 5th w/ SLIDE, SLEEPS 6! CLEAN **$111 b/w (oac)** DOUBLE BUNKS, SLIDE, SLEEPS 10! **$105 b/w (oac)** TOY HAULER, ONLY 6125 lbs, SLEEPS 6! **$108 b/w (oac)** CLEAN COUPLE’S TRAILER w/ SLIDE SLEEPS 6! **$92 b/w (oac)** ROOMY COUPLE’S TRAILER w/ SLIDE SLEEPS 6! **$229 b/w (oac)** FRONT LIVING WINTER 5th, FIVE SLIDES! LOOK **$170 b/w (oac)** LUXURY BUNK WINTER 5th, SLEEPS 12! **$89 b/w (oac)** COUPLE’S TRAILER w/ “U” DINETTE SLIDE, SLEEP 4! QUAD BUNKS **$108 b/w (oac)** QUEEN BED, SUPER SLIDE, SLEEP 10! 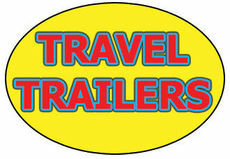 WINTER PKG **$126 b/w (oac)** LUXURY TWO SLIDE COUPLE’S TRAILER! **$124 b/w (oac)** BUNKROOM, 2 SLIDES, EXT KITCHEN, SLEEPS 10! EXCELLENT **$98 b/w (oac)** ½ TON TOWABLE COUPLE’S TRAILER! EXCELLENT **$109 b/w (oac)** GORGEOUS COUPLE’S 5th, HUGE SLIDE! REDUCED **$143 b/w (oac)** COUPLE’S 5th w/ 2 SLIDES & SOLAR! CLEARANCE **$314 b/w (oac)** LUXURY WINTER 5th w/ GENERATOR! **$113 b/w (oac)** OPEN BUNK TRAILER, SLEEPS 9, ONLY 6006 lbs! REDUCED! JUST 5590 lbs **$87 b/w (oac)** COUPLE’S TRAILER w/ SLIDE! IDEAL **$130 b/w (oac)** COUPLE’S TRAILER w/ OUTSIDE KITCHEN! CLEARANCE **$107 b/w (oac)** DOUBLE BUNKS, SLIDE, SLEEPS 10! REDUCED! **$229 b/w (oac)** TOY HAULER w/ 12’ GARAGE, LOFT, SLEEPS 10! REDUCED **$236 b/w (oac)** LUXURY COUPLE’S 5th, ISLAND KITCHEN, 5 SLIDES! REDUCED! **$355 b/w (oac)** CLASS C w/ 2 SLIDES, SLEEPS 6, GEN, SOLAR! REDUCED! **$112 b/w (oac)** DOUBLE BUNKS, 2 SLIDES, SLEEP 10! CLEARANCE **$108 b/w (oac)** CLEAN COUPLE’S 5th, HUGE LIVING ROOM! CLEARANCE **$134 b/w (oac)** TRIPLE SLIDE BUNK TRAILER, SLEEPS 9! REDUCED **$215 b/w (oac)** CLEAN COUPLE’S 5th, ISLAND KITCHEN! KING BED **$168 b/w (oac)** ULTIMATE WINTER TRAILER, 3 SLIDES! REDUCED **$159 b/w (oac)** COUPLE’S WINTER 5th w/ 3 SLIDES, SOLAR! LIGHT **$114 b/w (oac)** QUAD BUNK TRAILER w/ SLIDE, 5556 lbs! LIGHT **$89 b/w (oac)** COUPLE’S TRAILER w/ QUEEN BED, SLIDE! CLEARANCE **$230 b/w (oac)** LUXURY 4-SLIDE MID-BUNKS, SLEEPS 8! CLEARANCE **$135 b/w (oac)** COUPLE’S WINTER 5th w/ 2 SLIDES! REDUCED **$121 b/w (oac)** COUPLE’S TRAILER, DUAL SLIDES, REAR ENT! **$159 b/w (oac)** COUPLE'S WINTER TRAILER, ISLAND KITCHEN! No Bull RV Sales proudly serves the Edmonton, Spruce Grove, Stony Plain, Sherwood Park, St Albert, Leduc, Nisku, Grande Prairie, Fort McMurray, Redwater, Lloydminster, Bonnyville, Whitecourt, Bon Accord, La Crete, Slave Lake, Cold Lake, Drayton Valley, Hinton, Edson, Camrose, Red Deer, Calgary, and Lethbridge areas. We also serve Dawson Creek, Prince George in British Columbia along with the Northwest Territories, Saskatchewan, and Manitoba.